India's Ramkumar Ramanathan, who has blossomed into a top contender this season, reached his second ATP Challenger level final this year, with a hard-earned three-set win over Tommy Paul in the Winnetka event in the USA. The fifth-seeded Indian overcame the challenge of the American 4-6, 6-3, 6-2 in the one hour 51 minute semi-final at the US $75,000 hard court event. Saving five of the seven breakpoints proved crucial for Ramkumar in the match. The Indian managed to beat his rival four times out of six opportunities. He next faces Japan's Akira Santillan, who also came through a tough three-setter, beating Britain's Matthias Bachinger 6-4, 4-6, 6-4. 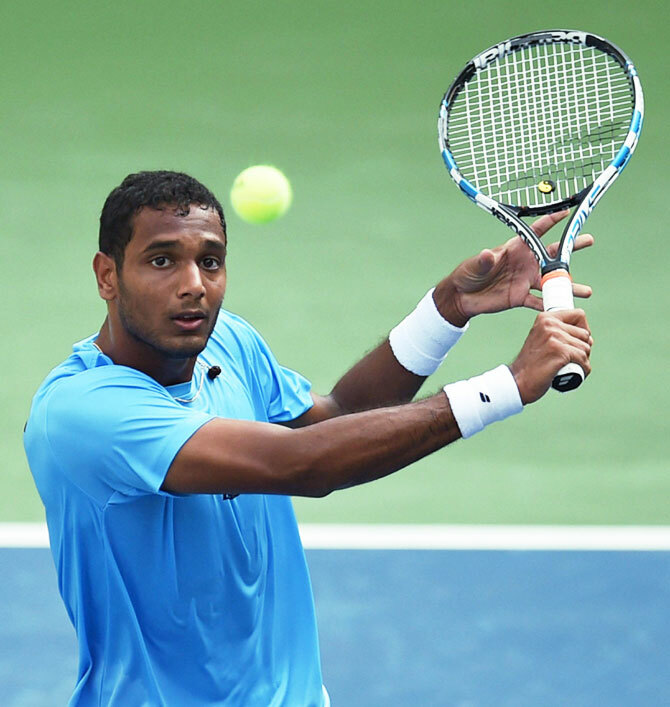 Ramkumar recently enjoyed the biggest win of his career, beating world number eight Dominic Thiem at the Antalya Open. Before this, he had made the final of Tallahassee Challenger, where he lost to Slovakia's Blaz Rola in April. He also won two US$15,000 ITF singles titles in Singapore. India's lone individual Olympic gold-medallist Abhinav Bindra has requested the Sports Ministry to set up a helpline for athletes travelling abroad to avoid the kind of hardships that para-swimmer Kanchanmala Pande faced recently due to lack of timely help. Pande was forced to borrow money from fellow swimmers during the Para Swimming Championships in Berlin after the funds sanctioned by the Sports Authority of India did not reach her on time. Bindra helped Pande get a scholarship after the incident through a Foundation, he is part of. "The recent incident of our paralympic athlete in Berlin raised a larger question of athlete management. 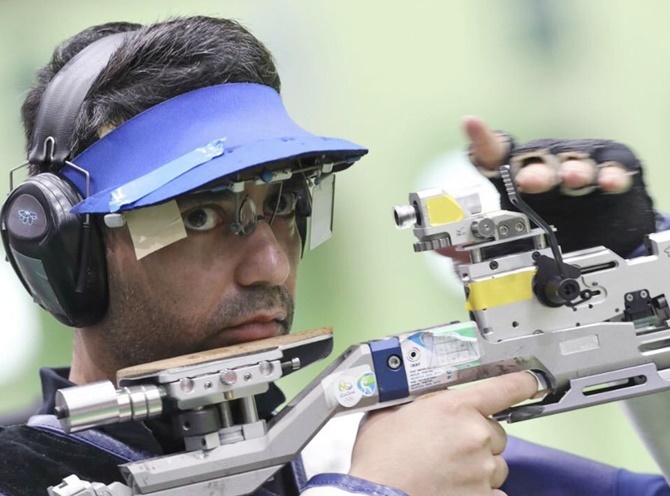 Things like these continue to happen in Indian sport and leaves everyone in a bad taste and overshadows a lot of good work that is done," Bindra said in his letter to Sports Minister Vijay Goel. "In this regard I have a suggestion: The creation of a helpline for all athletes especially when in a foreign country to solve matters of extreme concern and having a contingency fund for unforseen situations to provide just in time support to athletes would be a fantastic initiative to be taken up by the sports ministry," he added. 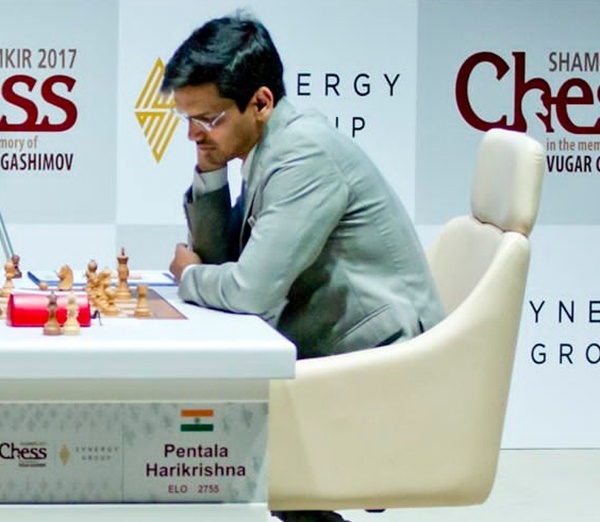 Indian Grandmaster Pentala Harikrishna suffered his first loss in the ongoing FIDE Grand Prix as he went down to Li Chao of China in the eighth round encounter in Geneva. The World No. 22 Indian, playing with black pieces, got into better positions in the initial stages of the game but lost the advantage due to a slightly miscalculated move. "I made a mistake playing Ne6 instead of Bb7, and after that I had a few opportunities to hold him out but he played really well," Harikrishna conceded after the hard-fought encounter. With only one game remaining, Harikrishna has four and a half points in his tally and is tied third on the leader board along with Shakhriyar Mamedyarov, Anish Giri, Michael Adams, Alexander Riazantsev and Li Chao. The 31-year-old from Guntur will take on Dimitry Jakovenko of Russia in his last game of the competition. "He is a solid player and I will look to be more careful and play a good game today to finish better on the leader board," Harikrishna said ahead of his clash. A late double bogey robbed Aditi Ashok a chance of making the weekend in her third straight Major as she missed the cut by two strokes at the Women's US Open in Bedminster, USA, on Saturday. She added a 73 to her first round 75 but her two-day aggregate of 148 was not enough as she missed the cut by two. Aditi looked like making amends for her first round as she started from the tenth and had three birdies against one bogey in the first seven holes. She was one-over for the tournament as she came into the second half of her second round. Then she bogeyed par-4 third hole and was on cutline. A little later, a double on the par-3 seventh, where she had dropped a shot in the first round, put her on the wrong side of the cutline and she was unable to pick anymore birdies to stay on for the weekend. 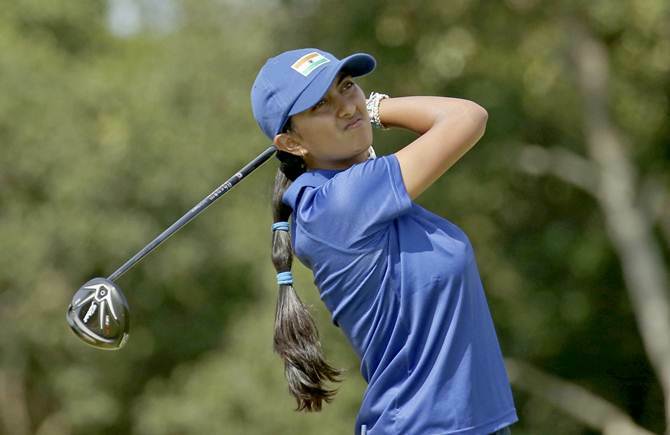 Aditi had made the cuts in the ANA Inspiration and the KPMG Women's PGA in the first two Majors of the year. 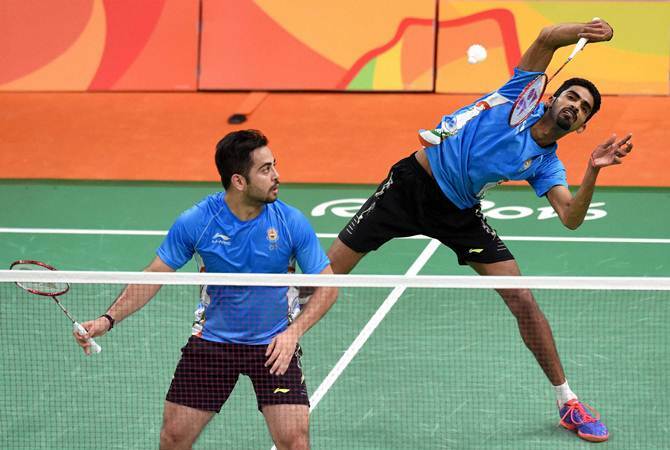 Curtains were drawn on India's campaign at Canada Open Grand Prix following the defeats of defending champion in men's doubles Manu Attri and B Sumeeth Reddy and mixed doubles pair in the quarter-finals in Calgary on Saturday. Third seeds Manu and Sumeeth failed to put up a fight against Korean combo of Kim Won Ho and Seung Jae Seo, losing 12-21, 15-21 within half an hour. Mixed doubles second seeds Pranaav Jerry Chopra and N Sikki Reddy dished out a gritty performance before going down 17-21, 22-20, 18-21 to Korean duo of Kim Won Ho and Shin Seung Chan in a hard-fought match, which lasted an hour and two minutes. India's Harinder Pal Sandhu is one step away from winning his fourth title as he defeated Piedro Schweertman of the Netherlands to reach the final of the Victorian Open in Melbourne on Saturday. The third-seed Sandhu beat second-seed Piedro 11-5, 11-8, 11-8 in the semi-final. Sandhu, who has been in good touch, has not dropped a game enroute to the final where he will now meet the top seed Rex Hedrick of Australia in the PSA world tour event. As in the earlier matches, fluency marked the Indian's show as he took just 35 minutes to complete the win. Sandhu, who won the South Australian Open for his third title of the year, had beaten Piedro with a degree of difficulty in Adelaide at the semi-final stage.